Photography: Archaeological and Historical Conservancy. In sites around the city and at the Fort Lauderdale Historical Society, a new understanding of our history – and our present – is taking shape. The timeline sits buried on the banks of the New River, surrounded by million-dollar homes. It sits intact – several thousand years of buried history, evidence of the way people lived for millennia in this “new” city. 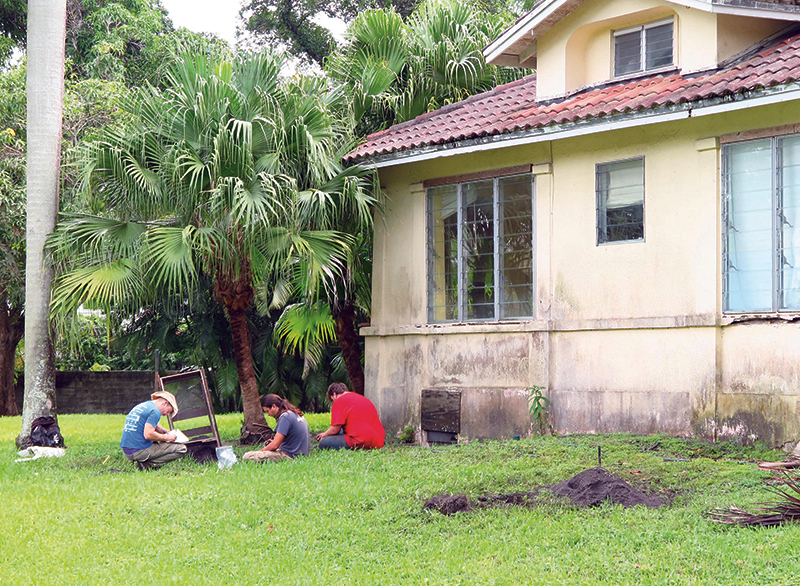 Called Rivermont, the site in the historic Sailboat Bend neighborhood is home to a large mound rich with artifacts from the Tequesta, South Florida’s first inhabitants, whose presence in the area can be traced to around 700 BCE. The site has been studied somewhat, but a more thorough investigation will have to wait. To understand why, you need to consider the intersection where archaeology and real estate development meet. Of course, real estate development – our century-long project of turning thinly populated swampland into a town, then a city – is the reason Rivermont is so unusual in the first place. A longtime South Florida-based archaeologist and current executive director of the Broward-based Archaeological and Historical Conservancy, Carr is best known for leading the excavation of the Miami River Circle, the downtown Miami site where, as much as 2,000 years ago, the Tequesta are believed to have built permanent dwellings. Rivermont isn’t that sort of site, but the discovery of anything along the New River is exciting. Why does so little of Fort Lauderdale’s pre-settler history exist in the ground? Simple: People dug up the ground. 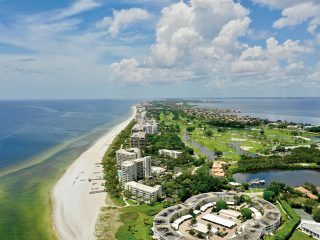 They leveled off and dredged and bulldozed – and they did this at a time when nobody was thinking a bit about the Tequesta or much else that happened before. The 1920s, the 1950s, even the 1980s were not eras when this history was much considered. And the Rivermont site? On that one, archaeologists really just got lucky. The property’s early 20th-century developers didn’t level off the site, likely for practical, drainage- and storm-related reasons. The land was developed more gently than usual, and the treasures it holds were left intact. Inadvertently, some World War I-era homebuilder helped preserve a major archaeological site. Today, Carr says, more laws exist governing the protection of such sites. And beyond that, people are beginning to care more. As much as the archaeological work itself, that part’s a big deal for Carr. 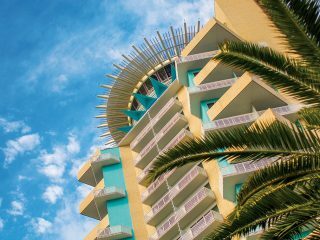 The history of the land that is now Fort Lauderdale stretches back millennia – but it’s not always been easy getting people to think about this place that way. “Part of our mission is to get the community to acknowledge itself,” Carr says. For that work, Carr has an ally on the banks of the New River. The Fort Lauderdale Historical Society is based in several buildings near the river in the Himmarshee district, including the Historic New River Inn, which now houses the city’s history museum. Carr works closely with the society and encourages private landowners to give it artifacts found on their property. They tell the sorts of stories the history museum wasn’t always so good at telling. People like Patricia Zeiler, the historical society’s executive director, are trying to change that. “The flesh and bones of history are constantly discovered,” she says. Then it’s the job of people like her to figure out what to do with them. The Tequesta used to get about a shelf at the history museum. In the rooms upstairs that served as a visual timeline of Fort Lauderdale history, there was a passing attempt at mentioning the area’s first residents. Then things moved swiftly on to the Seminole Wars and Maj. William Lauderdale before getting to what was for decades the story of Fort Lauderdale – something that began in the 1890s with settlers like Frank Stranahan. “The point of view of this historical society was very much one-sided until very recently,” says Tara Chadwick. As the historical society’s curator of exhibitions, Chadwick’s one of the people working to change that. To take a history told from one perspective, one voice, and turn it in to one told by many voices. Chadwick’s standing in that upstairs space, in a room that’s part of a new permanent exhibit that aims to give a more accurate view of this history – of everybody who has lived on this land. To walk through the timeline, you begin in the room on the second floor’s northeast corner and proceed south. Twentieth-century history is still well accounted for – learn about World War II-era blackouts as German U-boats lurked off the shore, or the rise and fall of the spring break empire. Excavating prehistoric village at Rivermont. Photography: Archaeological and Historical Conservancy. But before you get to that, you experience what came before. Long, long before. 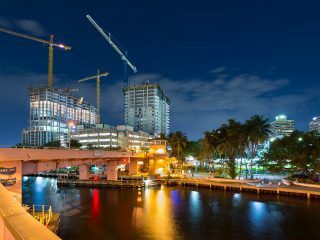 In fact, the walk through Fort Lauderdale history now starts with the time before human habitation. Then comes a space dedicated to the Tequesta and how they lived. There are fewer physical items, of course, but it’s at least possible to put a story on the walls. Comment cards are also a part of the new installation. There’s a spot on one wall where people can leave comments – good, bad, indifferent – on the history they’ve seen. To Chadwick, that’s important as well. But the way we tell history is not immune from history itself. Across from the room given over to Tequesta history is one of the museum’s older exhibits, one that predates this newer work by about a quarter century. In the early 1990s, when the New River Inn was converted from a children’s science museum – the precursor to the Museum of Discovery and Science – and made into a history museum, this was the first attempt at a room dedicated to local history. 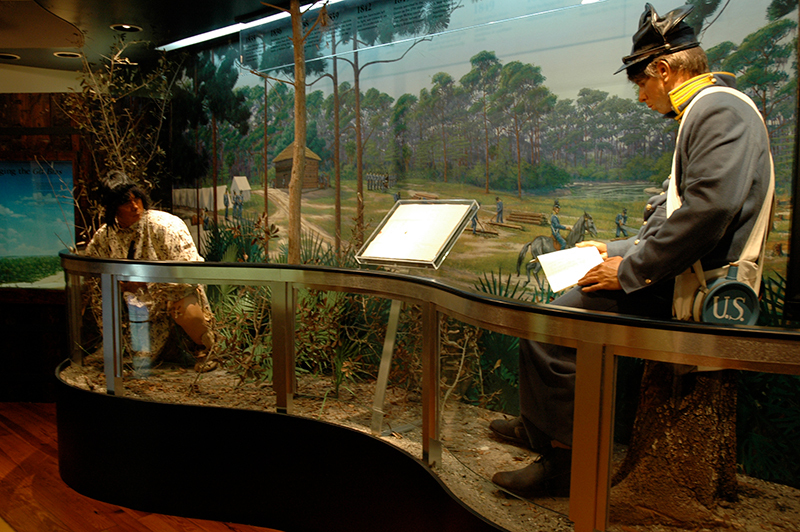 In a room largely dedicated to the Seminole Wars, an entire back wall is given over to a panoramic scene featuring two life-size figures. One, a blue-clad army soldier, sits and reads a letter from home. The other, a Seminole warrior, carries a rifle and slinks low through the brush, towards the soldier. It looks like the sort of Good Guy vs. Bad Guy scene that will be familiar to anybody who’s ever watched an old western. “This clearly gives you a certain perspective on the Seminole Wars,” Chadwick says. It’s a way of seeing history that’s perhaps most clearly laid out in the book Checkered Sunshine: The Story of Fort Lauderdale. Written by Philip Weidling and August Burghard and published in 1966, it was for decades the seminal history of Fort Lauderdale. Some of its omissions speak specifically to the codes and local politics of the day; city father Frank Stranahan simply disappears from the story with no mention made of his suicide by drowning in the New River. Other omissions are grander; the presence of pre-settler and Seminole inhabitants is breezed over in a sentence or two. Not that this was a fault particular to Weidling and Burghard. This was simply history as it was written. “‘Pre-history – that really doesn’t matter’ – that’s what we learned in school,” Chadwick says. For Bob Carr, the work of excavating the past is rooted in the present – in a fully developed understanding of how a place came to be. That doesn’t happen with incomplete history. “When you start sticking to that little window that starts in the 1890s, it’s a very prejudicial view … white people and the people we brought into the community and how we created this development, this city,” he says. Sometimes, rethinking history even means retelling the parts of history that have become local lore. Zeiler gets angry thinking of one popular story from local history. Perhaps you know it. In 1836, a small group of Creek Indians came down the New River to the farm of William Cooley. Cooley was a justice of the peace; the Creeks blamed him after settlers who killed a Creek chief were set free from jail, saying he withheld evidence. On the day that the Creeks alighted at his home, Cooley and a large team of men were out salvaging a beached ship. At home were Cooley’s wife, Nancy, his three children – the youngest a baby – and the older children’s tutor. Exhibit at the Fort Lauderdale Historical Society.Photography: Fort Lauderdale Historical Society. The plaque also gives the event the name most people know it as: Cooley’s Massacre. Now here’s another story. Or rather, the same story, told differently. By 1836, the Seminoles and closely related Creeks were in trouble. 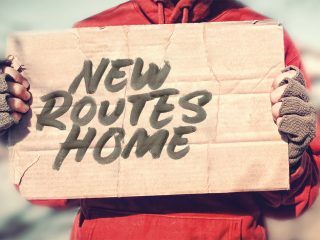 Pushed into Florida, and then into increasingly smaller and more inhospitable parts of Florida, they struggled to survive. The Seminoles depended on rivers, but the New and Miami rivers were increasingly populated by white settlers. Starvation was common. The U.S. military presence was growing. War was becoming inevitable; times were desperate. Then white settlers killed a chief and burned his home to the ground. Seeking justice from the courts, the Creeks watched as the settlers were freed by the court in Key West. They blamed the man who in their view had failed to secure a conviction – justice of the peace William Cooley. The simplified plaque gets one thing right – white civilians left the New River shortly after, and the era of Major Lauderdale’s troops began. But the real story – the story of a desperate, starved, backed-into-a-corner people – that doesn’t fit on a plaque so well. But it fits in a museum. “That’s history’s business – to let people know these real stories,” Zeiler says. Museums, Tara Chadwick says, were created in the 19th century for a specific purpose. They existed to collect dead or dying things. American Indian artifacts were collected because American Indians were going to become extinct. Today, Chadwick says, history museums have a different role. They exist as conversations in the present, not simply catalogues of the past. And anyway, extinction doesn’t always happen the way those 19th-century museum builders thought it might. Later this year, the history museum will host an art exhibition. Seminole Art Scene From the Frontlines will include work from artists such as Elgin Jumper, Gordon Oliver Wareham, Jimmy Osceola and Jessica Osceola. 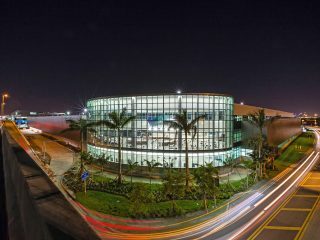 Sculptor Jessica Osceola lives in Collier County and has had her work exhibited around the country, including at Art Basel. Her work, she says, draws on many traditions. Seminole, yes, but also classical Greek and other Western influences. She loves what she comes from, but she also has an artist’s wariness for categorization. “They think they can just stroke your hair and ask you all sorts of crazy questions,” Osceola says. The risks of doing a show in a place with “historical” in the name is not lost on her. 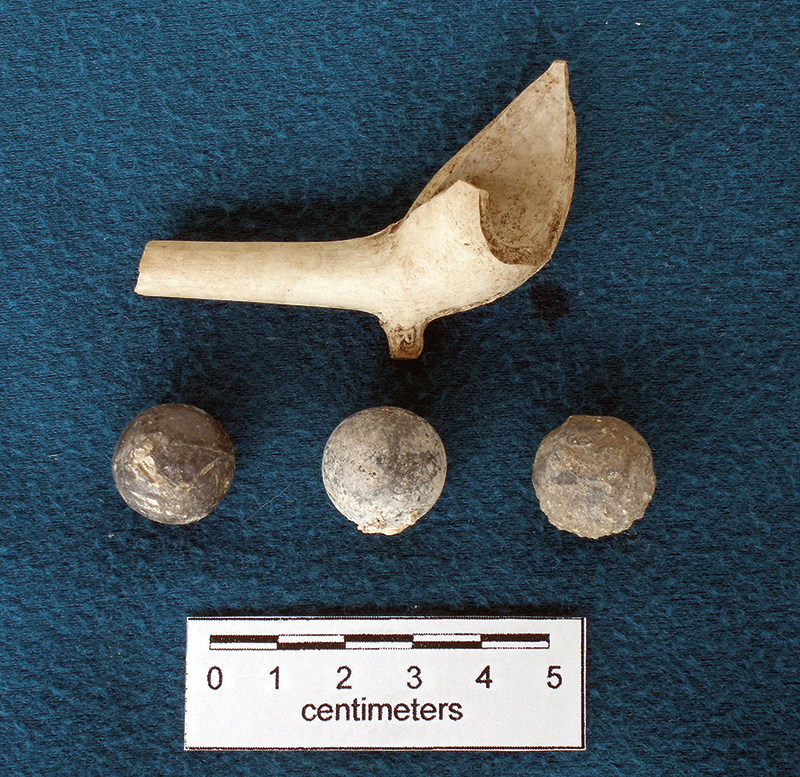 Clay pipe and musket balls found at Fort Lauderdale Beach. Photography: Archaeological and Historical Conservancy. While the museum along the New River tries to create conversations around the present, Bob Carr continues hunting for more clues to the past. 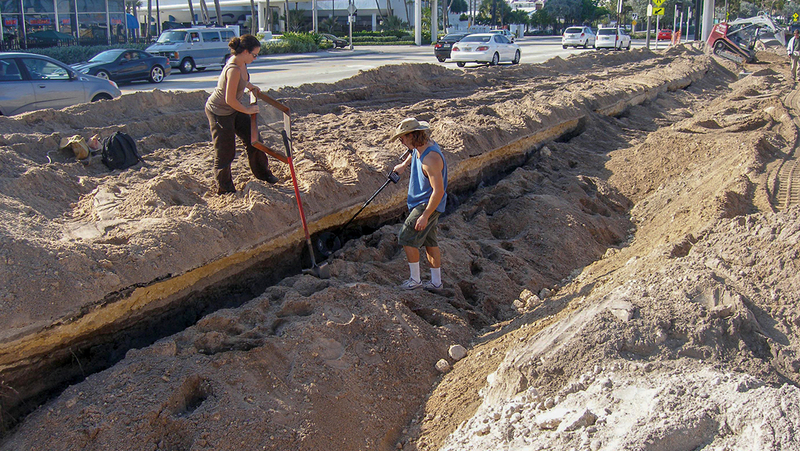 In the early part of the decade, he led the team that excavated the site of the third Fort Lauderdale – as in, the actual fort – along the beach. The first two forts have never been found. “We don’t know, it could be in somebody’s backyard or it could be under a parking lot in Fort Lauderdale,” Carr says of Forts Lauderdale no. 1 and 2. But so much more of the important work happens around artifacts from the several thousand years before white settlers turned up on the river. And while the Rivermont site sits waiting, Carr’s working on other sites around the New River that offer more information on the Tequesta and how they lived. 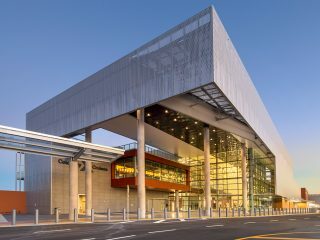 He can’t say much about other projects – they tend to involve private landowners and developers – but when the work’s complete, it gets made public. The Rivermont site earned headlines in 2014 and 2015 when a new owner first considered saving the nearly 100-year-old house on the site, but was then told by architectural consultants that changes over the years left the place in a degraded, un-historic state. Preservationists disagreed, and experts including Carr expressed concern for the Tequesta site. As the fight wound through the city’s Historic Preservation Board and City Commission, a compromise was reached. The owner won the right to demolish the home. But it was demolished using methods recommended by Carr that spared the nearby archaeological site any damage. The entire site remains privately owned but with no new home built or under construction. Clues left by the Tequesta have sat there for more than a thousand years. For now, they’ll wait a few more.